Dokümanlarınızı daha hızlı ve daha iyi yönetmenizi sağlayan bir program. Vole Windows Expedition yeni jenerasyon bir dosya yöneticisidir. Dokümanlarınızı daha hızlı ve daha iyi yönetmenizi sağlamaktadır. Vole Windows Expedition kişiselleştirmiş olduğunuz tüm dosya ve klasörleri tekrar otomatik olarak sahneye koyar, Docking-tabbed özelliği ile dosya klasörlerinizi dilediğiniz şekilde yerleştirebilir ve tablo haline dönüştürebilirsiniz. Klasörleri tekrar tekrar açmanıza gerek kalmaz. Music Mate, Dual-Explorer, Favorite-Folder, Playback-Folder, VMC Discovery, Countdown Timer, altı rengarenk yeni tema ve dahası bu programda. 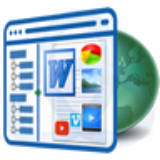 Sanwhole Word Online Service let you create websites via Microsoft Office Word. You don’t have to learn website coding technical, you even don’t have to drag and drop online to create your website. Just create a Microsoft Office Word document offline and upload via your account. Your website is ready! Within one minute you let the whole world can reach to you! Backup is hard sometime even impossible. You don’t have to do it anymore. Because you backup your word you back your website. You don’t have to modify your website online. Modify offline and upload; you complete your website modification. 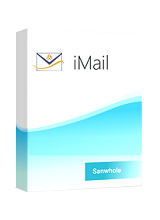 iMail - Business and School Free e-Mail Solution. 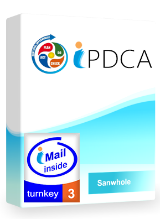 Sanwhole Turnkey iPDCA integrates Sanwhole Turnkey iMail3 and Vole PDCA, is an enterprise process control and documents paperless management solution. An iterative four-step management method used in business for the control and continuous improvement of processes and products. The control and management process meets ISO 9000 requirements. Download and installation went smoothly on Windows 10 latest build x64. Activating was no problem. The program itself leaves a great deal to be desired. First, it is a large program which uses a substantial amount of memory...158mb compared with 19mb for Xplorer2. It required 5 seconds to load. The user interface is straight out of Vista Longhorn. Accessing folders on the local pc was smooth and prompt. Accessing network locations or external drives was clunky and slow. The experience of resizing the window was incredibly slow. Also, once you select the window boundary and attempt to resize, the cursor does not release the boundary unless you right-click. Until you figure that out, you are stuck with the molasses slow accordion of making the window larger and smaller. Finally, as with many programs from this vendor, there is a built-in tool for creating video presentations that is difficult to hide or avoid. Overall, I did not find anything that Windows Expedition did better...or even as good as...applications already available from other companies. I uninstalled the program. Won't install. Keeps asking for dotnet framework to be installed. It already is installed. What's going on? I'm having trouble getting the licence to 'take'. I select the licence test file but the 'Renew Code Manager' is greyed out so nothing happens. One question though. Can I install this if I'm already using an explorer replacement? I use Opus 12 and am worried about conflicts, that's all. Do I really need Abode Reader installed to use this file manager? Will it connect to Network Drives and Cloud Storage? I'm genuinely interested in the software, but worried about conflicts. 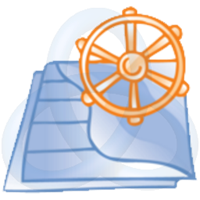 Software that can be used with Windows File Explorer can also be used with Expedition at the same time. Adobe PDF Reader is optional. You have to install it if you want Expedition preview PDF in built-in Media Player. Windows File Explorer can see what resources, Expedition can also see. Richard Sebire, Software that can be used with Windows File Explorer can also be used with Expedition at the same time. Adobe PDF Reader is optional. You have to install it if you want Expedition preview PDF in built-in Media Player. Windows File Explorer can see what resources, Expedition can also see.